Love this comparison.. amazing quality.. can't wait to get my hands on some. Fantastic post as always love it. Did you guys know this was coming? Or was it just a guess? Also, there's a special processing step that needs to be done on the film you've been playing with, right? I assume Kodak isn't putting that opaque layer on the still-film version of this emulsion? Do you know anything beyond the tech specs on Kodak's site? You are right Matt! The Vision movie films are ECN2 processing which is C-41 with one extra step that removes the protective/anti-halation layer that is on movie negative films. We know one of the photogs who tested it for Kodak and spoke with them a little. The base visually resembles almost exactly the Vision3 stocks we've worked with. And amen to film being a viable option for client work. Your clients pay for your personal work too so why not shoot the good stuff on the assignments you care about? There should always be an overlap between personal work and client work. Keep shooting film guys and we will keep getting amazing new films to shoot! It might be an "unfair" comparison, but the new Portra held its own. This has made my week...month...year! If you can't get to a lab that processes ecn2 it can be done in a normal C41 bath, you need to strip the remjet first which can be tricky. A warm pre-wash of water and washing soda will loosen the remjet significantly. if you use your c41 chems as one shot then the rest of the chems will take care of any left over. A final (careful) wipe of the film will clear up anything else. et voila. ecn2 in your home.. lol. a little dodgy but now we won't have a need to do it this way.. vision3 as a still film.... just magic. @Neal Haven't tried that method myself yet but I hear it works! Thanks! I agree with Matt about changing from digital to film for paid work. I borrowed a friends canon film slr earlier this year and was blown away by the results. Straight out of the camera is the result I want in digital and the B&W has no comparison. The only thing stopping a complete change to film for my wedding/portrait business is the crummy low light levels we get in UK. Now if Kodak/Fuji could produce a colour film capable of fine grain at 1600 then it would be a no brainer. Great work on promoting the fim guys. Keep it going! ECN-2 isn't C-41 with an extra step, it's a different developer formula run in a different process, it even uses a different developing agent, ECN-2 film also has a different contrast and gamma to C-41 film, Portra 400 will be a C-41 film (obviously) matched to the C-41 process and gamma. @Dan Thanks for the input. You aren't wrong Dan. But based on real world experience and for all intensive purposes it is the same process with just another step. We spoke with the people at Kodak, Fuji, and Technicolor regarding this and found the main differences between the two processes are developing time/temperature, and that ECN-2 produces in a greater archival result. ECN-2 has a shorter development time to handle the volume of MP films. And yes the ECN-2 developing agent is CD-3 (used in RA-4, E-6, and ECN-2) and C-41 uses CD-4. So technically it's a cross-process. But with a near identical chemical reaction and identical results. We have processed both C-41 and ECN-2 emulsions in both chemistries and found identical results for each emulsion. We now go to Technicolor to process our 250 exposure cassettes of Vision film. They are actually the ones who told us it's basically the same chemistry as C-41 and based on the results I agree. We experience no difference in scanning film processed in either chemistry. Vision3 films always have more latitude and can be pushed with better results. But the gamma and contrast are inherent in the emulsions themselves, not the development. 400H in ECN-2 looks just like 400H. Lastly, the base of the Vision film is more red than traditional C-41 stocks... So is the new Portra 400. I'm sure it's its own emulsion but it's likely more closely related to the Vision line than the Portra. in case anyone was wondering... 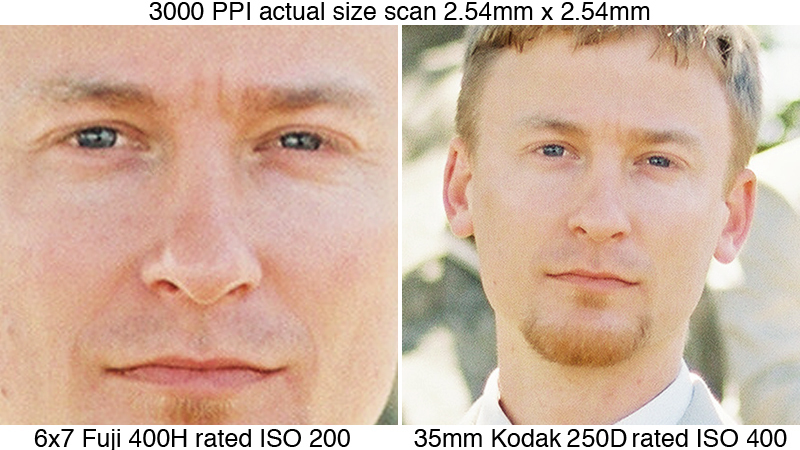 The tech data from Kodak tells me it IS Vision3 250D for C-41 process! dude, loving this pics, canñt wait for that film to get out. 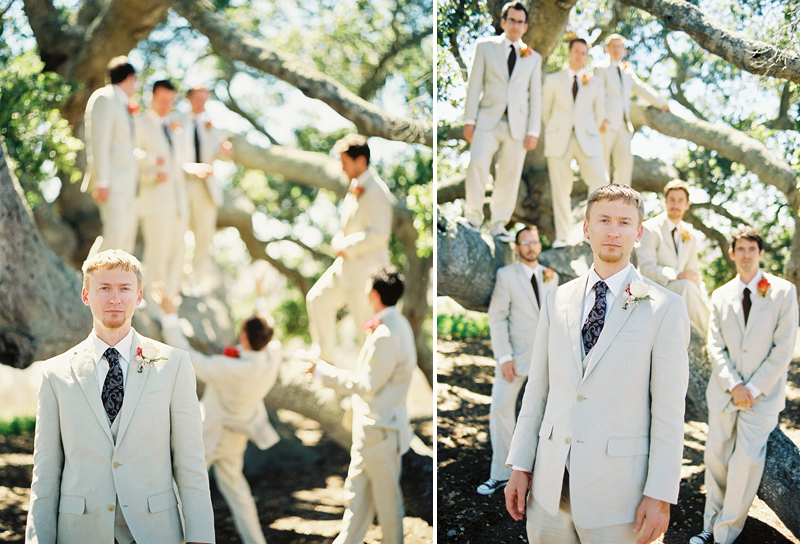 Finally got my hands on some of the new Portra 400. My home scans probably don't do it justice, but I can say it's looking mighty fine! And by fine, I mean fine grain, even when shot at box speed. 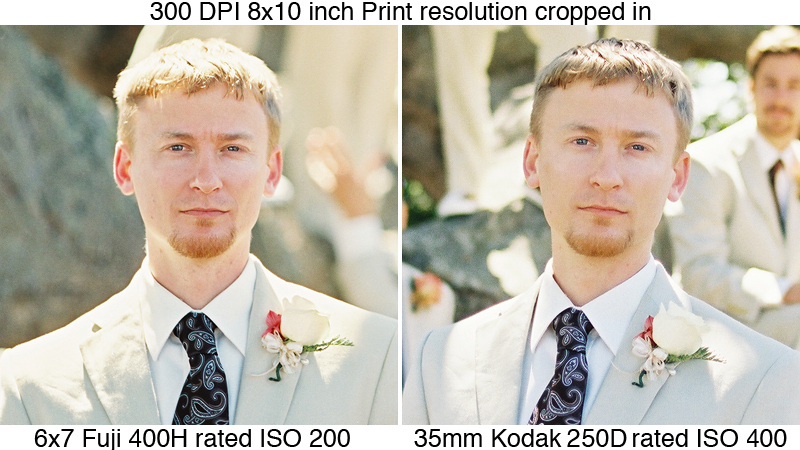 It actually looked less grainy than Fuji Reala 100 (at least in the shadow areas), which is astonishing. I just shot another two rolls this evening, which I will have professionally scanned. Having a true ISO 400 speed film with super low grain is a real boon…6x7 medium format finally becomes practical for family/children's on-location portrait photography, as the DOF and shutter speeds finally get where I need them to be. URL is for my first Portra 400 results.